3D printing is proving itself to be a boon for jewellery makers. The technology, within 3 short decades of it’s existence, has revolutionized the way precious metals and gemstones are carved into exquisite jewellery. It has opened new, unexplored avenues in terms of design possibilities and rapid manufacturing techniques. Conventional jewellery making methods involve crafting wax moulds of the proposed design and then casting it in precious metal. This procedure has stood the test of time, and has been perfected over the ages with advancements in technology. But translating these intricate and complex designs into three dimensional moulds is a real challenge; there has always been an upper limit to the level of detailing and finishing can be achieved by human hands. This is where 3D printing steps in as a game changer. The approach is simple, instead of relying on a pair of human hands to make the moulds, let machines do the job for you with programmable perfection. 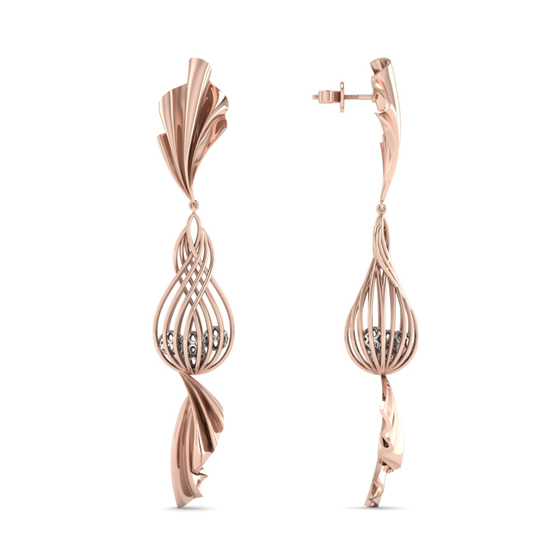 Also known as CAM (Computer Aided Manufacturing), it’s the perfect fit to CAD (Computer Aided Designing), the industry norm for jewellery design right since the 90’s. Together, they enable manufacturers to fully utilize the power of technology to create masterpieces out of precious metal, and have ushered in a new era of creativity within the industry. Industry leaders around the globe have recognized the potential of 3D printing and adopted it as an integral, business-critical part of jewellery manufacturing process. India, one of the leading hubs of the global jewellery market, is not holding back in this domain. 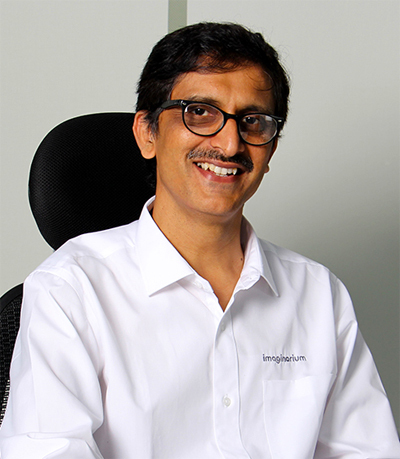 3D printing was first introduced to the Indian market by Imaginarium, the largest 3D printing company in the country. Aside from pioneering the use of this technology for jewellery making, Imaginarium also brought about a paradigm shift in jewellery design within the country, with several market leaders following the lead and basing their product design strategy around 3D printing. The sheer amount of design freedom that 3D printing brings with it is incredible, so much that complexity of a design is no longer a factor in manufacturing. Designers now have options to experiment with abstract patterns and shapes that make for visually striking pieces of jewellery. If a designer can produce it on a computer, the 3D printer will print it, no questions asked. And not just print it while retaining the high quality, but also at several times the speed. The designs that took days and weeks to be made into a mould can now be ‘printed’ in a matter of hours, substantially reducing the design to market time of the product. In fact, Imaginarium claims that it’s fastest 3D printers can produce upto 1000 designs per day. 3D printing is also quite eco friendly. Under conventional methods, complex designs often need to be cast with a buffer (extra) thickness, because of the limitations of the moulding process. The cast is later subjected to processes such as grinding to reduce the extra thickness, resulting in precious metal being wasted. With 3D printing, the master pattern obtained fresh from the printer is of the exact specification, and can be sent immediately for casting with minimal post processing. Jewellery is not just art carved out of metal and stone; it is also an accessory to one’s expression of individuality. 3D printing ensures that customized jewellery is no longer reserved for the elite, but has also made it’s way to the reaches of the common man. Inscribing a face or personalized text is no longer a costly affair, since all that needs to be done is a few edits within the CAD file and easily printing a custom mould. 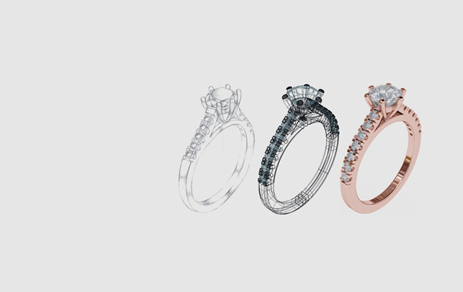 With CAD softwares out in the market targeted specifically for the jewellery industry, designing has never been easier. These softwares are intelligent; design elements such as adding scrollwork, filigree or vines, applying inlay, textures and gemstone settings like prongs and bezels can all be taken care of with a single click, thanks to a host of preset options. 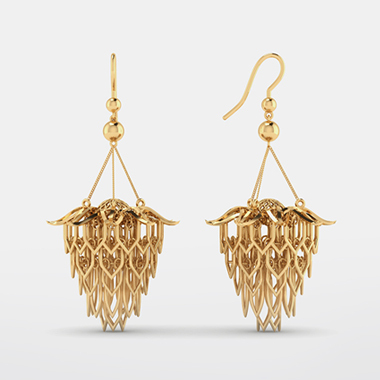 3D printing is not just revolutionizing jewellery making, it is also democratizing it. The industry is opening itself up to beginners and hobbyists who want to design their own unique jewellery, to wear or to sell. Imaginarium Precious often engages with independent designers keen on exploring this technology to bring their designs to life. The power of this technology is such that when DMLS machines (short for Direct Metal Laser Sintering) see large scale adoption within the market, the turn around time for design to product will virtually be halved, if not quartered. DMLS allows you to 3D print directly in metal, implying that wax moulds will no longer be a factor in the process. Imagine walking into a jewellery house with an idea for a personalized gold pendant, a surprise for your mother’s 50th birthday. A designer greets you in the lobby, and the two of you brainstorm on possible designs, finally settling on one. Now imagine walking out of the same store a few hours later with the pendant in your hand, in all it’s shiny perfection. That is the future of jewellery design.